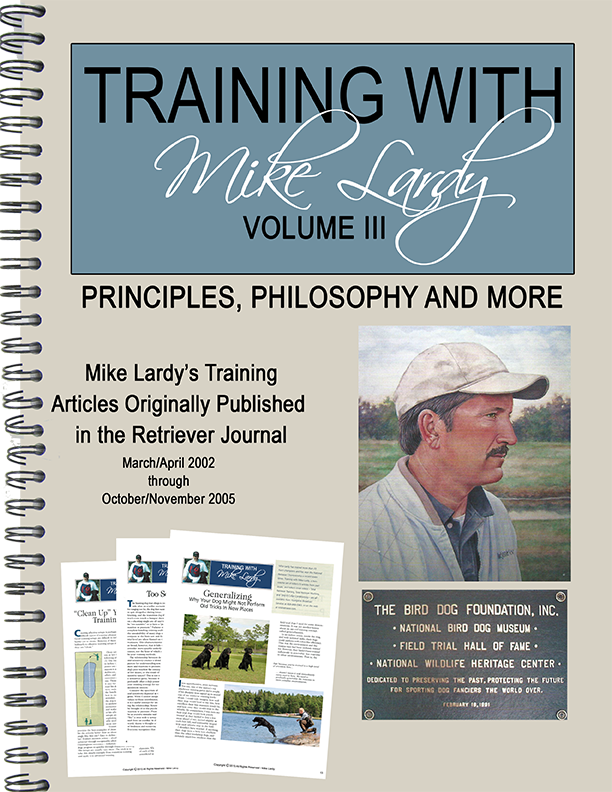 Volume III is a spiral bound manual of 22 articles on general retriever training guidelines, as well as specific marking and handling topics. Feature articles cover diverse areas including training pond design, nutrition and the National Retriever Championship. Many additional topics are covered. It is suggested that Volume I and II be purchased prior to, or at the same time as, Volume III since all of the techniques and discussions are built on the knowledge base developed in these earlier article collections.